Missing a tooth can make a person reluctant to smile and make eating comfortably a challenge. At Dentistry 390, we can replace your tooth with a dental implant and give you a reason to smile again. Whether you lost your tooth to natural decay, sport injury, or accident we can give you back your smile here with our London dental implants. 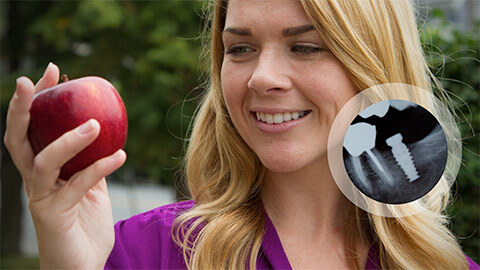 Dental implants are the closest thing we have to replace your natural tooth. 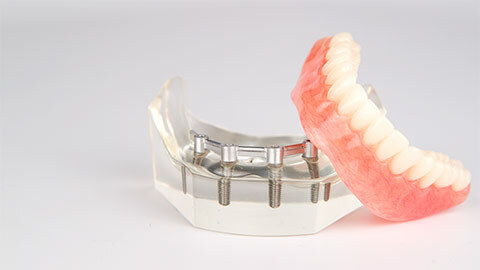 The implant is attached to your jaw with a titanium screw made to act like an artificial root. A crown is then attached to the new root, giving you the look and feel of a natural tooth. The dental implant functions in all the same ways a normal tooth would and fits comfortably in your mouth. Dental implants are the most permanent and optimal solution to tooth loss. 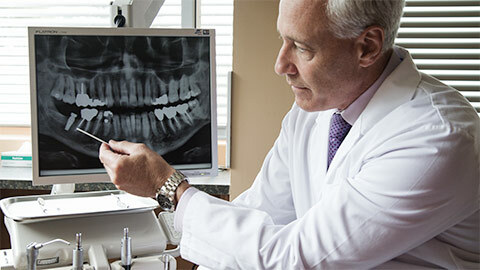 If you need more information about Dental Implants and Missing Teeth in London, contact us today.